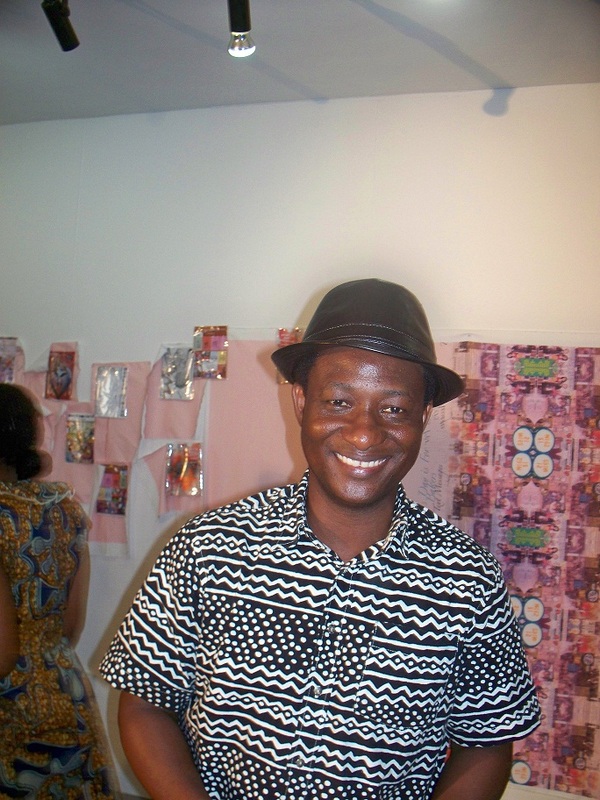 The artist Bernard Akoi-Jackson paints; sculpts and does live performances. His passion for the art is definitely unquantifiable. With a master’s degree in Art from the Kwame Nkruma Univeristy of Science and Technology, Ghana, Akoi-Jackson teaches art in a school and still engages actively in creative works. I spoke with him during his recent visit to the CCA Nigeria, and he talked on a lot of things that he finds very similar on the art scene in Nigeria and back home in Ghana. What is your impression of the art scene in Nigeria, based on some experiences you may have gotten? I must say clearly that so much is taking place here with respect to the number of art events and creative activities that people engage in. It is encouraging to see that these collections of events would be documenting and sustaining art interest in Nigeria. The good thing is that the benefit for art in Africa would be beyond just Nigeria. Is the experience the same thing in Ghana? Wow! I must start first by saying that Nigeria is a big place with so many artists. Ghana is doing a lot too, but it may not be as much as Nigeria is doing because of the size difference. However, each time I am in Nigeria I feel the same kind of experience in work patterns, stories people are sharing just tell how much similarity we have in our art history. 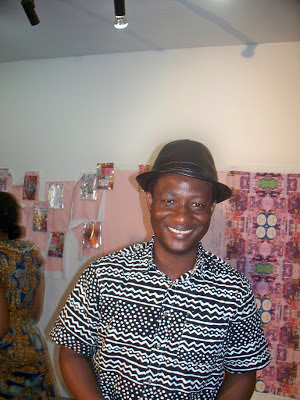 At what point would you draw a very evident similarity in the art experiences in Nigeria and Ghana? I certainly want to consider the experiences of art development in both countries. I have been opportune to share in discussions with Nigerian artists and I just laugh at how our experiences are close, considering initial disapprovals artists face. It is common knowledge that years ago, parents and the society at large didn’t make any sense of it when a person said he wanted to go and study art in the university. The understanding was that, for someone going to the university to acquire knowledge and get a prestigious degree, it should be in the discipline of Medicine, Law, Engineering, and all others that they considered course that should be studied. They didn’t approve of studying art in the university at all. What was your personal experience like when you indicated interest to study art? Of course every parent wanted their children to study courses that were considered the best, but I made my intentions known and went ahead with it. For me art was a passion I developed early in life, so it was difficult to think of something else. I had a teacher who encouraged us to develop in art. Each year, he gave a prize to the best student in art and I always wanted to be that person to earn his prize. A number of the students became attached to working hard in the art class and I must say that it was a good way to encourage the development of a thing in especially young people. What is your sense of fulfilment as an artist? I am able to express myself without hindrances and that is a very wonderful thing about art. An artist can tell stories of societies through any form that he desires and documents history for generations to come.